West ham have endured a pretty disappointing start to the new era under Manuel Pellegrini. Having lost each of their opening three games they languish at the bottom of the Premiership table. The midweek win against Wimbledon may have provided some light, but given that they trailed for an hour despite having an extra man will not have gone unnoticed as yet more evidence that the new squad is far from firing on all cylinders! Wolves, meanwhile, enjoyed a morale boosting draw with Man City last weekend and then dispatched the Owls during midweek, using their back up players. If the Hammers lose tomorrow it will equal their worst ever start to a season - the other coming under Avram Grant's doomed tenure. No pressure then! However, in better news, Marko Arnautovic and Mark Noble are available. In reality, when 2 of your first 3 games are away at Enfield and the Emirates it is not a total disaster to come away with little to show, but Pellegrini's men really need a win to kick start their campaign. First up, Pellegrini needs to sort out a stable CB pairing, with tomorrow's selection likely to reveal where his longer term intentions lie. The Hammers boss has been singing the praises of both Masuaku and Cresswell, so selection at left back will also provide an interesting talking point. 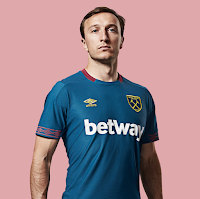 But perhaps the biggest question is whether Mark Noble will walk straight back into the starting XI. Carlos Sanchez had a mixed performance against Arsenal, so it looks up for grabs. Javier Hernandez will hope that his goal in midweek might swing a starting berth for him, while Andriy Yarmolenko had a lot of the ball with modest impact against the Wombles. In truth, there is considerable uncertainty regarding most of the side with plenty of positions up for grabs. Interestingly, BETWAY have the Hammers at 8/5 for a win, which seem like generous odds. 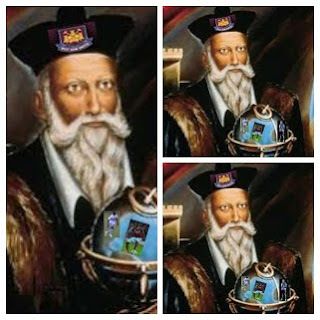 Rory Nostradamus at VERYWESTHAM predicts a 3-1 win for the Hammers. Manuel Pellegrini has made a host of changes to his squad for the trip to Arsenal with Antonio, Fredericks and Rice (bench) all back in the frame. Diop gets a first start in CB alongside Balbuena, while Carlos Sanchez will try to add some beef to midfield. Pellegrini has plenty of options on the bench with Hernandez, Yarmolenko and Perez all looking for a chance to impress. Arnie is captain for the day, replacing the 'injured' Mark Noble. All in all its like musical chairs just now. West Ham XI: Fabianski, Fredericks, Balbuena, Diop, Masuaku, Sanchez, Wilshire, Antonio, Snodgrass, Anderson, Arnautovic. There has been much discussion regarding the disappointment of West Ham's choice of kit design for this season. In particular, the lack of blue on the sleeves of our home kit gives a very 'Burnley-like' feel to the strip - ironically, just as Burnley have added more blue to their claret- heavy top! The team are certainly doing their best to make up for our lack of blue in a sartorial sense with some depressing on field performances that have left many fans feeling very .....well....'blue' about our prospects for this season which promised so much until the real action commenced a fortnight ago. So where has the sleeve blue gone? A walk through Nashville airport last Sunday provided a surprising clue - we seem to have lent it out to legendary baseball outfit, the Phillys, who have a very Hammers like strip this season - as evidenced in their clash with the Mets! With a trip to the Emirates this weekend, Hammers fans might be forgiven for developing a sudden interest in baseball as we could well find ourselves looking at our worst ever start to a Premiership season with three straight defeats! Then again, maybe it's time for Pellegrini's side to find their rhythm and start to deliver upon our considerable Summer investment? Failing that, the home clash with Wolves on the following Saturday has the feel of the earliest six-pointer in our history!!! All the top managers have ways of distracting media attention in order to take pressure off their players when the team is underperforming. 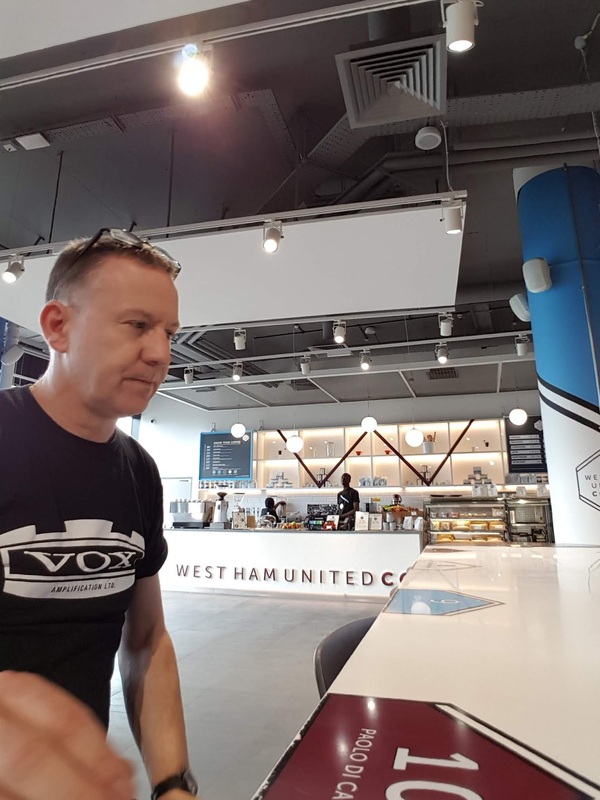 At West Ham we have the additional mechanism of using our board to get stuck into a dispute - usually about the London Stadium - that inevitably grabs the media's interest. And so we have the latest dispute with the stadium owners, the London Legacy Development Corporation (LLDC), who are refusing to re-erect the Hammers' honours board (that sign which shows three FA Cup wins and a European Cup Winners' Cup triumph) until the club pay allegedly outstanding bills from last year! The signage was removed for athletic and music events during the summer and has not re-appeared yet this year. Vice-Chairman Karren Brady has accused the LLDC of attempting to hold the club to ransom to pay a fee that it is not liable for stating that "we do not owe a fee for maintenance of the big screen and it has nothing to do with the Mid-Tier Honours". In reality, at the moment we look unlikely to add to those major honours after a shaky start to the season with what looks like an unbalanced squad. That is, of course, unless you want to add the Betway Cup to our list after we stumbled home 7-6 on penalties against Mainz in the annual preseason friendly tournament. Hmmm. As West Ham prepare for their annual Wedgying away to Arsenal, a gap has appeared in the clouds - one with a definite silvery tinge! Manuel Pellegrini announced that Captain Claret, Mark Noble, will be unavailable for the Arsenal game due to a back injury. 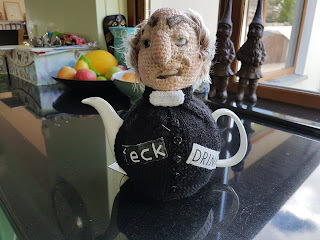 Like most Hammers fans, I love Nobes and despite his advancing years he can still bring a canny football brain to proceedings, as we witnessed during our relegation- dodging run in to last season! However, as a midfield partner for Jack Wilshere, many observers expressed their concerns about a lack of pace in the West Ham engine room, and the displays against Liverpool and Bournemouth have suggested that their pessimism is well founded. It's no coincidence that Cheik Kouyate's dip in form last year coincided with a dwindling partnership with Noble. The big question on everybody's lips is who will come in as a replacement? Pedro Obiang seems out of favour, while new recruit Carlos Sanchez is catching up on in match fitness. Personally, I hope Decky Rice comes in from the cold as his energy and physical presence can hopefully stunt Arsenal's free flowing midfield. So far, Pellegrini has been tight lipped on the matter, but after a poor start to his tenure it looks like any number of changes are possible as we try to identify our best starting XI. Manuel Pellegrini has sent out a strong message to his players by imposing three changes for today's clash with Bournemouth. At the back, he sticks with the Balbuena-Ogbonna partnership that 'enjoyed' a torrid time at Anfield. Zabaleta comes in to shore up at right back, while Masuaku can feel a bit fortunate to hold onto his place ahead of Aaron Cresswell. Ryan Fredericks, who looked so impressive in pre-season, is totally absent from the matchday squad! In midfield, Robert Snodgras comes in as poor Declan Rice has been jettisoned out of the picture and is not even on the bench as Carlos Sanchez and Pedro Obiag are the reserve midfielders. Eddie Howe's Bournemouth won against Cardiff last week. Starting XI: Fabianski, Zabaleta, Balbuena, Ogbonna, Masuaku, Noble, Wilshere, Anderson, Snodgrass, Arnautovic, Hernandez. After all the excitement of the transfer window and a strong preseason campaign, we really blew it at Anfield! What was always going to be a tough opener was made even more challenging by some truly awful officiating - with Liverpool's 2nd and 3rd goals clearly off side. But 4-0 didnt really flatter an impressive Reds side, while we rarely threatened. VERYWESTHAM watched the game from Boston - early morning on terrestrial tv added to the surreal sense, while the game had that early season low intensity that made for the feeling that we weren't trying hard enough! In all honesty, we looked off the pace across the team leaving Mr Pellegrini with plenty to think about. In midfueld in particular we looked short of the required pace. Its been a concern of VWH that although Wikshere is a pleasing addition, can he really play alongside Noble without being over run by pacey midfield opposition?. Even worse, Decky Rice was well off form. Its great to hear him in the media talking about his attitude to havibg a bad performance - he really is a rock of sense and seems to be future captain material. Out wide, Antonio was all over the shop. On form, he can be unmarkable due to his direct aggressive style, but when its isnt going for him he looks Chumpionship quality. One wonders what January will bring and if he has the first touch that posession-hungry Pellegrini sides require? At the back, we were disorganised and rattled by awful offside calls. Pellegrini likes to defend with a high line but against the lace up front that Pool have and with a lineman who was shy with his flag, it was a recipe for disaster. So, Bournemouth today. VWH have been in Clarksdale, Mississippi all week and have gotten to understand how to rejoice in the blues! Today, we will be watching from Nashville and hoping that we will have left the blues behind. If not, away at Arsenal is not an ideal place to look for salvation but lets see how Pellegrini's troops react to last week first. Bournemouth are a solid side who outmanouvred us last season. We have a lot more quality now, but it may take more time to gel into results. Either way, this one will be fascinating! Greedy Hammers Look to Grab at Least Two More Prizes! We have entered the final stretch of the transfer window and now face the day when it all gets a bit weird - in a fun way. West Ham have enjoyed a productive transfer period and look well equipped to launch a decent assault upon the Premiership next year. At last, the board have splashed the cash and also let the experts get on with the business of acquiring top talent, and without all the media hype. As such, anything seems possible in the next few hours, including some under the radar business. Pellegrini has been coy about his plans but its pretty clear that he likes to have options and wants players who are mobile and skilful - attributes that are required throughout the side in order to allow the kind of free-flowing attack-minded football we are all hoping for next season. So, what can Hammers fans expect? Almost certainly top of the list is a midfield enforcer. Kouyate has gone and although Rice is improving at a remarkable pace, Nobes is ageing. Obiang looks set to stay but....we could see all manner of high jinks in the midfield area, but expect at least one new signing. Up front, Hugill has gone out on loan so that frees up space for another striker. With Arnie and Chicharito at the top of the list, it'll probably be a player who will settle for being second string or perhaps an understudy. At the back we need to ask how bad is Winston Reid's injury as this will dictate whether one more recruit is needed. Diop and Balbuena have looked impressive in Preseason, but it remains to be seen how they handle Mo Salah et al when the real business starts this weekend! So, at least another midfielder, probably an extra striking option and maybe another CB. You'd better strap yourself in cos there's a high likelihood of more action in the 24 hours ahead. Aren't you glad you renewed your season ticket? Kouyate Cheiks Out: So Who are the Likely Replacements? Cheikhou Kouyate's departure from West Ham signals the extent of the club's ambitions for the new Pellegrini era. As a mobile midfield presence with Premiership experience and now a seasoned international having played in all of Senegal's World Cup matches, he is a great capture for Crystal Palace. Kouyate's disarming positivity will undoubtedly encourage Hammers fans to wish him every success at his new club. However, many have felt for some time that he needs a switch as his Hammers career seems to have reached a plateau. The transfer gives a clear indication that West Ham's spending is not yet complete as they really need a mobile defensive presence in midfield. Declan Rice looks set to get plenty of game time in that role but otherwise the options are limited with age catching up on Mark Noble and Pedro Obiang apparently on the verge of a return to Italy. Although Pellegrini's team have looked good in Preseason, in reality the opposition has been very modest and the capacity of his new look back line to withstand the kind of high tempo assault that is typical of Premiership encounters remains untested. 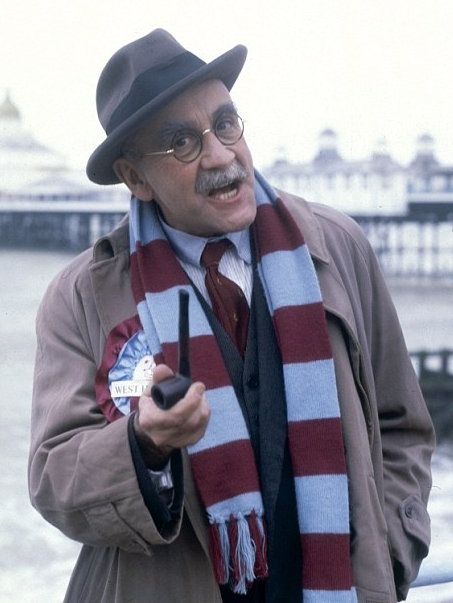 The big question amongst West Ham fans is who will arrive to add muscle to the midfield. Pellegrini has used a 4-2-3-1 formation quite a bit in pre-season, so the question is who will fill the two berths in front of the back four? Recent speculation has focussed upon Maximi Gonalons (Roma), Danny Drinkwater (Chelsea), Stefano Sturaro (Juventus), Marvelous Nakamba (Club Brugge) and Oriol Romeu (Southampton). Under the current management, the Hammers are playing their cards much closer to their chest so fans should prepare themselves for the unexpected!